Does it ever seem as if you can't move another step forward without your favorite drink in hand? Coffee fuels many a creative mind in any industry. Whether you are an early morning coffee drinker or need a cup mid-afternoon to reboot your sluggish mind, coffee culture does pair with many of the best developments in business. You might even be the person who has to have a cup of coffee in hand all day long. Here are some coffee thoughts to help you jumpstart your day or keep it going into the wee hours of the morning when you are cramming for a deadline. Have you ever sat down and thought about how much coffee has infiltrated our culture and daily lives? Coffee is present at every meeting, event, gathering or celebration. It is a staple in good times and bad and helps stimulate conversation, ease communication, and calm people in the face of the unknown. It is so embedded in our lives that we often take having coffee on hand for granted. Would you ever have a work meeting without coffee for visitors? And don't you offer every visitor coffee when they arrive? There is an excellent article on the Scientific American blog (http://bit.ly/2eLnuIQ), "The Culture of Coffee Drinkers," that discusses the influence of coffee throughout history and in modern times. With the proliferation of Starbucks coffee shops throughout major cities, coffee shops have become meeting places for entrepreneurs, writers, company reps and corporate CEOs who want to meet away from the office. Gourmet coffees have become commonplace. 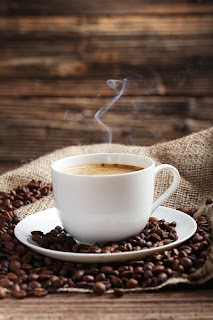 It may seem like a "no-brainer," but coffee can be used as a tool to connect with both employees and customers in your shop or office, and it doesn't cost much for you to do so. Whether you send your assistant on a coffee run, or have a Keurig in your office for each person to make their own cup, sharing a "cup of joe" will help facilitate discussions about difficult jobs, employee discipline, and new contracts.